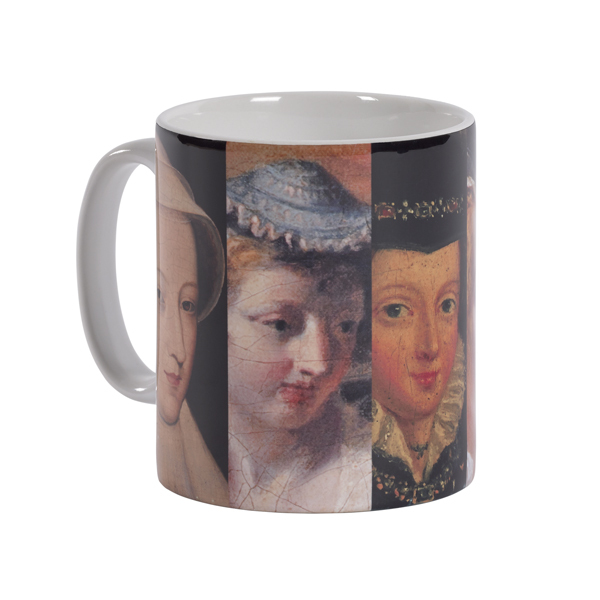 Ceramic mug with multiple artwork details featuring Mary Queen of Scots, part of the National Galleries of Scotland Collection. 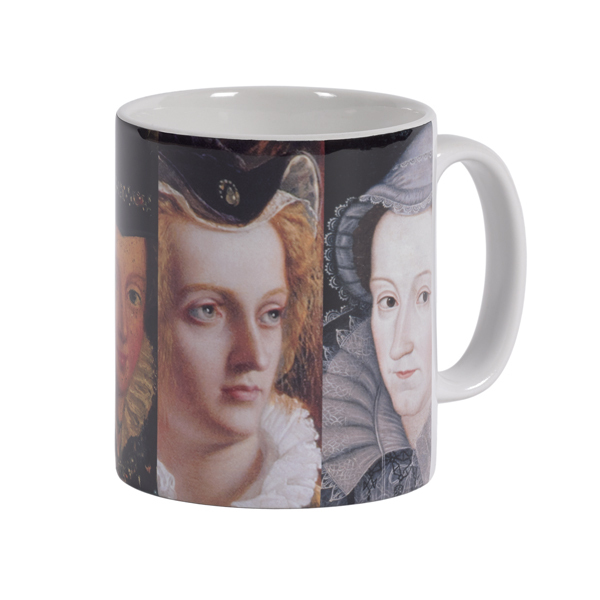 Mary, Queen of Scots also known as Mary Stuart or Mary I of Scotland, reigned over Scotland from 14 December 1542 to 24 July 1567. Mary, the only surviving legitimate child of King James V, was six days old when her father died and she acceded to the throne.